American Electric Power is playing the regulatory card in Ohio. The news broke last month that AEP has hired Goldman Sachs to explore the possibility of selling its fleet of Ohio power plants, but the bigger surprise may come as early as April when the Public Utilities Commission of Ohio rules on AEP’s request to receive out-of-market rates for four of the nine plants it might sell. AEP is considering selling or spinning off its Ohio fleet for the same reason many of its peers already have — coal plants are a losing proposition in a competitive wholesale electricity market — but AEP still has a couple of regulatory cards to play. The company played one of them in October, but the result will not be known until the Ohio commission rules on AEP’s rate request. AEP is asking the commission for a guaranteed return for those four coal plants in the form of a non-bypassable “PPA rider,” that is, a power purchase agreement that would pass the costs of operating the plants, at an annual return on equity of just over 11%, to all AEP Ohio customers. This is no ordinary rate case. Similar accommodations were made in New Jersey and Maryland and were struck down in court. But AEP has put a different spin on its petition. AEP is offering to give any upside above its costs to AEP Ohio customers and, of course, those customers would take a hit on any loss. It is anybody’s guess how the commission will rule. Many analysts expect it to rule against AEP because that is what the commission’s staff has recommended. But there also are jobs at risk, and that may trump any concerns about efficient markets. AEP says there are 1,147 jobs directly linked to the plants and another 1,800 indirectly linked, representing a combined total of $173 million in annual income. What happens if the Ohio commission rules in AEP’s favor? AEP has said that a sale would still on the table, but some analysts believe AEP would retain the plants. Others think the petition itself is an exercise aimed at commanding a higher sale price, assuming that the PPA would be transferable. Legal opinions vary, but AEP is confident that the new owner would have to honor the terms of the PPA. That means the new owner would be regulated at both the state and federal level. The PPA also would split the valuation of the plants, with some earning a regulated return — even though they operate in a competitive market – leaving the rest of the portfolio exposed to commodity risk. If AEP’s PPA is denied, all the plants would be merchant, and the valuations could suffer. When the news about hiring Goldman broke, a price range of $2.8 billion to $3.6 billion was mentioned, reflecting a valuation of $350 per kilowatt to $450 per kilowatt for the portfolio of nine plants. That appears to be in the range of recent deals such as Dynegy’s pending purchase of 21 plants from Duke Energy and Energy Capital Partners for $6.25 billion, but a closer look values the gas plants in that deal at $600 per kilowatt to $400 per kilowatt and the coal plants at $300 per kilowatt, Morningstar analyst Andrew Bischof says. It is worth noting that those valuations reflect a time when natural gas, which drives wholesale power prices, was trading at about $4 per million British thermal unit. It seems unlikely that with gas down to about $2 per million British thermal unit that those richer valuations would still hold were AEP to sell. But AEP has one more card in its hand. 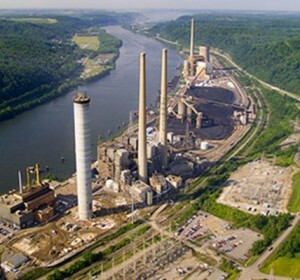 PJM Interconnection, the wholesale electricity market that serves Ohio and 12 other Mid-Atlantic and Midwest states, is revamping how it pays for capacity, that is, how plants are paid to be available even if they are not called on to run. In short, plants able to store fuel, like AEP’s coal plants, would be eligible to receive an enhanced “capacity performance” payment, if PJM’s proposal is approved by federal regulators. That could be an attractive proposition to a potential buyer. Under PJM’s proposed rules, the AEP plants could be bid in at cost and still collect the higher capacity payments. But that prospect could skew PJM’s capacity market, and it could attract a lot of opposition. That was at the heart of the issue in New Jersey and Maryland where out-of-market payments were voided. It all comes back to regulatory risk. AEP is getting two bites of the regulatory apple. The company is very good at managing regulatory risk. It remains to be seen how much appetite potential buyers have for assuming that risk.